Many companies have employees, contractors or vendors dedicated to providing SEO (Search Engine Optimization) support to digital marketing. This process typically involves a regular strategy session where stakeholders brainstorm keywords that they want to target and combine those with keywords targeted by competitors. By analyzing and filtering this compiled list, keywords are chosen for content over the next period. All of these are true and should be followed. Despite analyzing metrics, reviewing progress and attaining the coveted 1st-page search ranking for the keywords by creating compelling, targeted content, there is still no increase in key target metrics. These metrics could be new qualified leads, increased digital channel revenue or some other target ‘conversion’. Even more concerning is when increased traffic from ‘successful’ SEO is coupled with rising bounce rate metrics and a decline in critical conversion rates. You obeyed the rules, you got to page 1 – what is wrong!? The keywords are driving web traffic but it is likely that the visitors are not part of your target audience – SEO has not been successful at all! Or rather, it has been successful but has been targeting ineffective keywords. The first problem that marketers need to address is setting the proper objective. Is your primary objective for a website visitor a purchase? A phone call? A sign-up or form? Brand awareness? After determining your objective and ideal audience, you have to choose keywords that will actually bring you that audience. Let’s talk about a hypothetical small company who manufactures oyster crackers. The SEO strategy for the local oyster cracker manufacturer can’t be to drive traffic from the obvious keywords that can be related to the company or product. Why not? Those keywords are just as likely to generate mistargeted traffic as they are to reach the correct audience – if not more likely! The first instinct may be to pick “oyster” or “cracker” as keywords. The problem is, our small company is not the only one trying to rank for such broad, general keywords and it will be both hard and expensive to compete. Also, a large number of people searching those specific words aren’t actually trying to find oyster crackers. Particularly with “oyster” top competitors would be sites like Wikipedia, seafood restaurants, blogs and zoological pages. And most people would be searching for the creature, not the cracker. We would suggest this manufacturer try product-related keywords like “clam chowder;” “Philadelphia cracker;” “Trenton cracker;” and “water cracker”. These keywords have less search volume than “oyster” or “cracker”, but also have less competition while still generating a decent amount of volume. SemRush comes in handy for this; it will allow you to research a phrase and its related keywords, along with the competitiveness, the volume of people searching, and other relevant statistics for each. The secret to executing this process successfully is understanding your goals and your audience, including how and what they search. Generic keywords, keywords with many popular meanings or uses, or keywords that span industries outside your target audience are likely to drive traffic from outside your target group that converts poorly. Choosing keywords which clearly describe your business or services with little room for alternate interpretations or meanings drives the highest quality traffic. Keen marketers will choose keywords that emulate the terms and language used by their audience when searching for similar services online. Simply analyzing the words and phrases your team associates with the business leaves you open to setting the net too wide. By targeting the behavior and search language of successful conversions, marketers can optimize keywords specifically for your audience. With a well-targeted audience, even significantly less volume can be more effective than choosing the highest volume keywords associated with your business that attract visitors outside your audience. 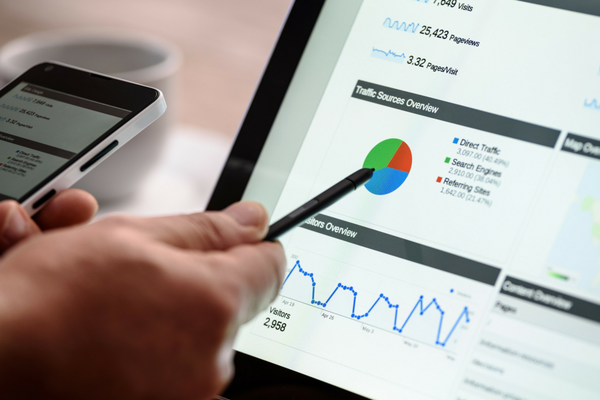 Making use of site analytics such as Google Analytics and Webmasters Tools is key to understanding the behavior of site traffic and who converts. Setting events and goals and following behavior allows you to analyze what is effective within your site, but also to understand where pages rank for keywords and who lands where. Closely monitoring not only traffic volume but the traffic quality associated with keyword optimization can give you a much deeper insight into the efficiency of your keyword strategy. Keeping a weekly tally on key metrics is a good start, but having a plan to adjust your process and goals is key. Reviewing strategies, metrics and progress quarterly allows the SEO team to see the effects of the strategy over a period and make the adjustments needed to ensure that critical goals are met. Check out more SEO Tips from Write2Market! Can we help your company reach a national audience? Write2Market drives quality leads by creating engaging thought-leadership content that sparks interest and creates awareness. Contact us today and see how your brand can benefit from a focused content strategy.